I walk into the familiar section of Heide’s Tower of Flame, yet it is unfamiliar to me some how. 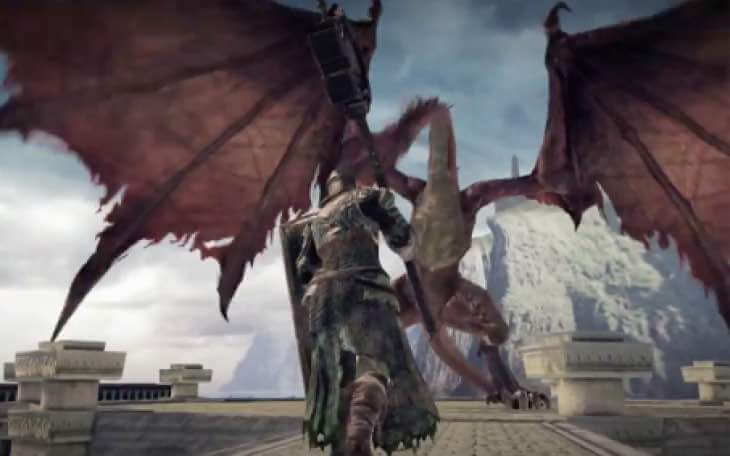 There are enemies that weren’t there before including a dragon in the distance. Some of the enemies that were there are still there but were stronger. This is just an example of the many changes I encountered in Dark Souls II: Scholar of the First Sin, a port of the game that released in March of last year. Yet this game doesn’t feel like just a typical port, it feels like a whole new game altogether. Dragons are hard… No lie. 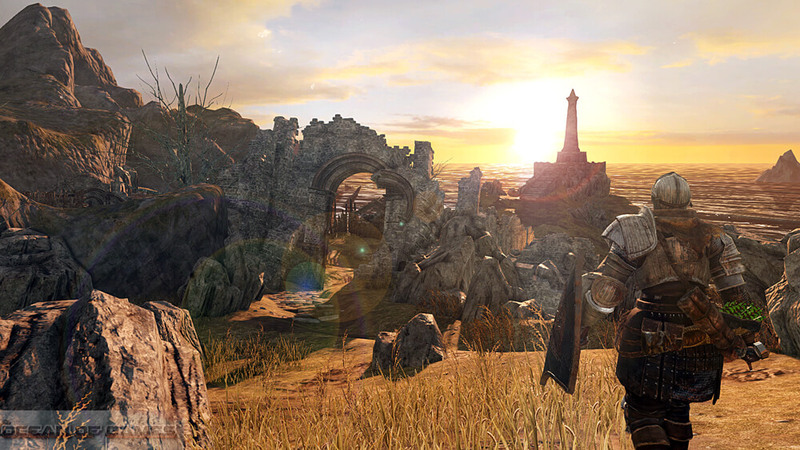 Released on last gen and next consoles, Dark Souls II: Scholar of the First Sin has much to love about it. From its core game running at 60 FPS (on the PS4) it also includes all three DLC, new enemy placements (like the Heide’s Tower section), and items. Multiplayer is also stronger than ever, thus Scholar of the First Sin is a definitive edition of the game. In the DLC is where some of the problems arise though. The environments are bland and while difficult, just aren’t that fun. If you are a trophy/achievement collector, there are no new trophies for the game so playing the DLC for you might be pointless on that front. Gameplay also feels repetitive. Speaking of repetitive, all the dialogue from the game is the same (minus very few changes). Even with new enemy placements and new enemies, there is a feeling of repetitiveness. While the game might be fun to play still it just isn’t the same anymore. Even with those problems, the game is still fun to play. Being a seasoned Souls fan, I loved going back to Heide’s Tower of Flame and fighting the new dragon or going to the Lost Bastille. New players though might not have as much fun as the seasoned player. The step up on difficulty shouldn’t be something that people complain about when it comes to a Souls game. 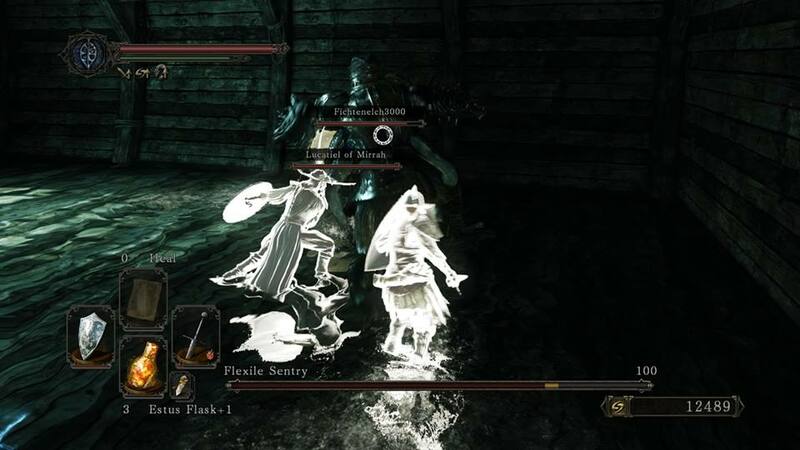 The Souls series staple is difficulty. New players though wanting to get into the series, Scholar of the First Sin is not the right place to jump into the series. Its best to either play the original Dark Souls II or Dark Souls. Even returning players like myself will find trouble with some areas of the game. Multiplayer though does make things trivial at time. Now you can summon three players to help you on your quest. Bosses like the Pursuer and Last Giant became much more easier with the extra help. You can sometimes get through bosses in just a short few minutes compared to the six to ten minute boss fights you would have encountered in the original version. There are also more invasions by NPCs. A lot of these enemies are easy, but expect them to become a nuisance more than anything. Overall Scholar of the First Sin is a great version of Dark Souls II if you are a returning player or, if you don’t mind the challenge, for new players. Even with its repetitiveness for returning players and in the DLC, the game is still fun to play and learn about the lore. With the hours of extra content and the content already there it is definitely worth the $60 price tag. 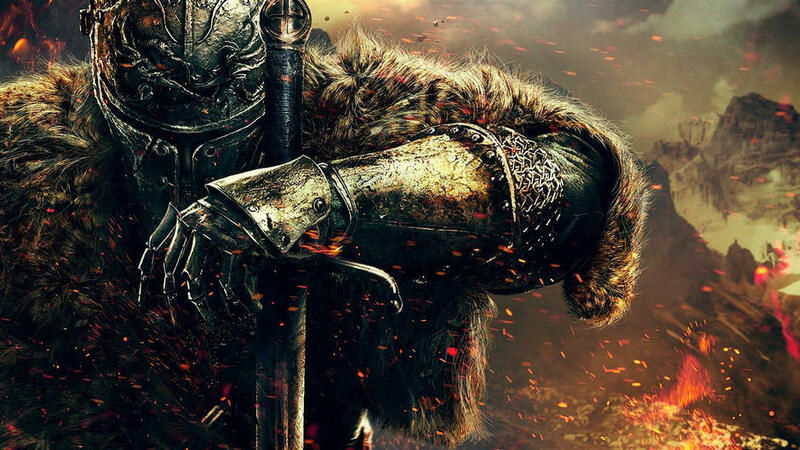 Dark Souls 2, though repetitive, is still fun to return to or be introduced to the Souls series. Power Rangers Movie Director Found?